“Opacity tester” is designed as per ASTM & ISO standards and is based on the light transmittance principles. Amount of light passed from a surface is defined as transparency and the amount of light restricted is termed as opacity. 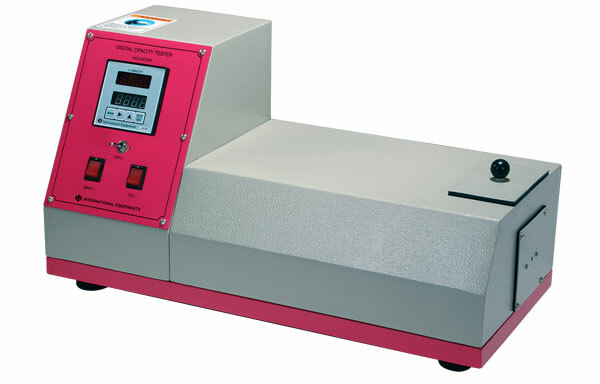 “International Equipments” Opacity tester has a digital read out result and both options as per user choice are available that could display % opaqueness / % Transparency as required.